Selling is the oldest profession out there. And it will be the last profession out there, if and when this whole life thing ends. To sell requires more than a solid offering or a low price or a Facebook ads campaign. You need to have skill in dealing with people. People are all different and have their own stuff going on. Hell, one person can change and have different stuff in a day to day basis. Are you fluid and adaptable enough to handle that - while still making sales? Let's discuss it. --- Listen on: iTunes | Stitcher | Soundcloud | Google Play | Overcast | Pocket Casts | Blubrry | Player.FM Comment on this episode! 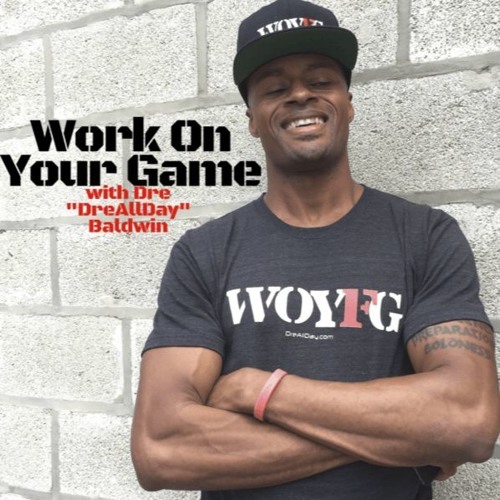 [https://dreallday.com/393-people-skills-need-order-sell-successfully-woyg-podcast/] Show notes, comments and links for all episodes can be found at http://DreAllDay.com/Podcast Direct mp3 download: [https://soundcloud.com/drebaldwin/393-the-people-skills-you-need-in-order-to-sell-successfully/s-9VIqn] Learn more (much more!) about Dre - basketball career & Guides, Programs, Speaking - at his website http://DreAllDay.com. Find me on social media: Instagram & Snapchat @DreBaldwin Twitter & Periscope @DreAllDay Be sure to SUBSCRIBE to have each new episode sent directly to you daily!